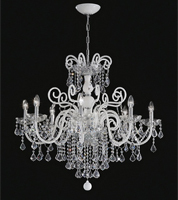 Venetian chandeliers are an impressive form of lighting which exude beauty, class and style. 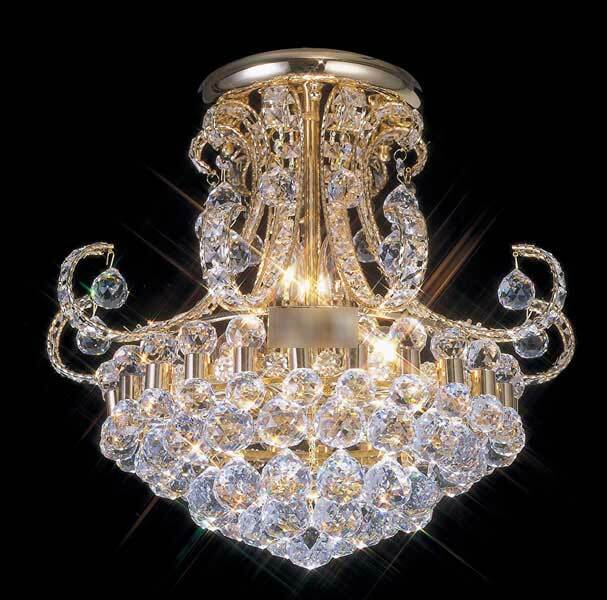 They look majestic hung beside sweeping staircases or above dining tables in beautiful homes, in the entrance halls of grand hotels and in civic reception rooms or commercial establishments. 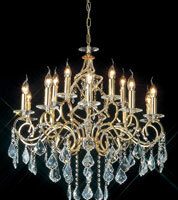 Angelo’s Lighting sell a magnificent selection of Venetian chandeliers from our London showroom. 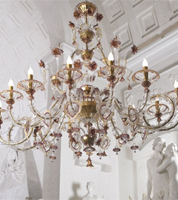 Here on this page we showcase a small selection of our Venetian chandeliers, which are available from our North London showroom. Any of the products featured are available to buy over the phone – please phone through your requirements and to enquire about our best prices. 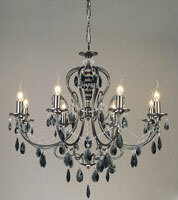 We do however offer a much bigger range of Venetian chandeliers if you can visit our store on Turnpike Lane, N8. 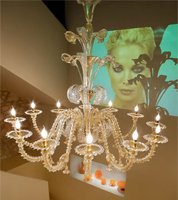 We can help you find the right lighting to suit your home or commercial premises. 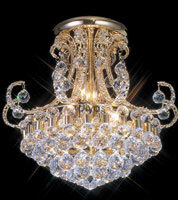 Venetian chandeliers can be found in many grand homes, Venetian historical palaces and mansions. 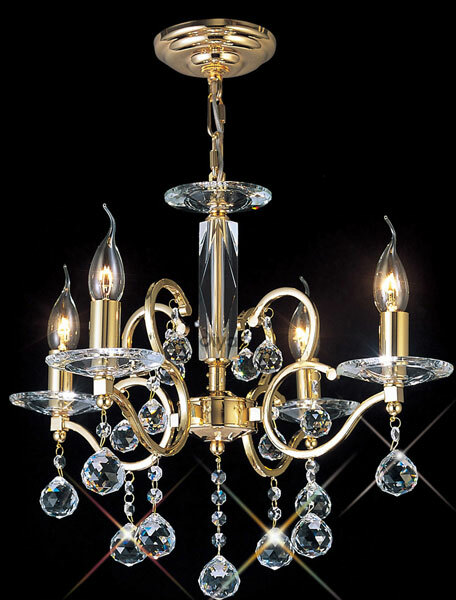 The term Venetian usually refers to products made with glass that is hand blown on the island of Murano, an island in northern Italy about 1.5 km from Venice. 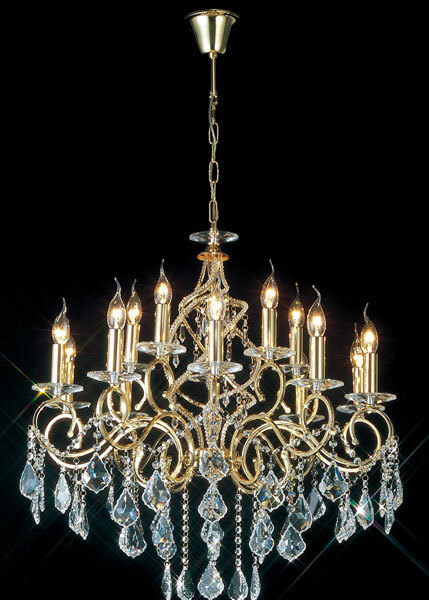 However, the term can be used in a wider context to describe any chandelier in the Venetian style. 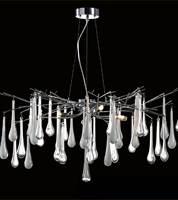 Murano made its name as a centre of glass-making in 1291. 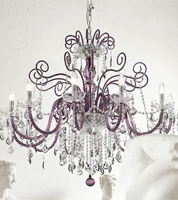 Following the threat of fire, glassmakers fled Venice and moved to the island of Murano. 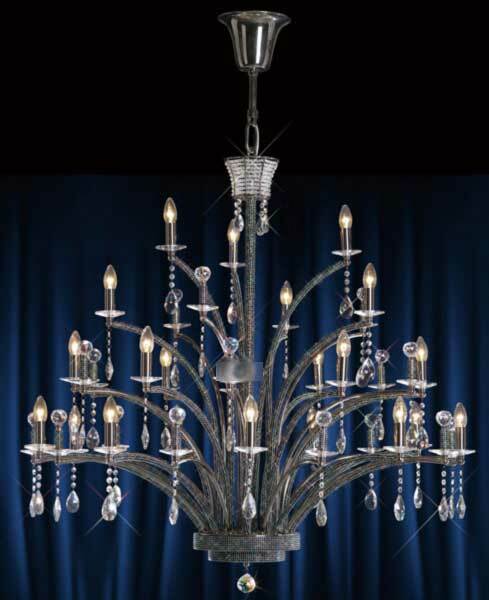 By the 1300’s the glassmakers were awarded certain privileges and in return were not allowed to leave the republic. 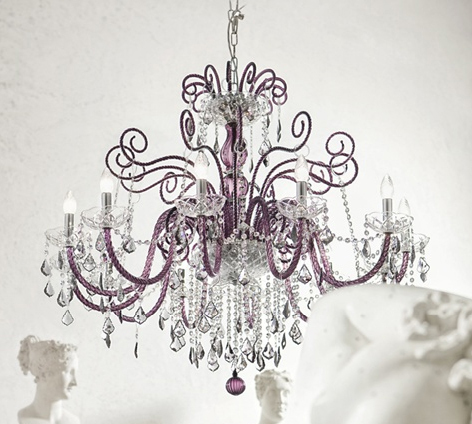 Venetian glassmakers had a worldwide reputation for high quality glassmaking for generations and made stunning works of art. 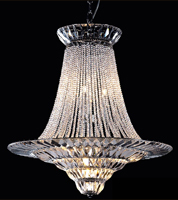 These highly skilled craftsmen developed many techniques used in the glassmaking industry including enamelled glass, multi-coloured glass and glass with threads of gold. 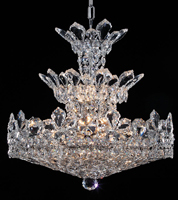 At the start of the 18th century, glassmakers created chandeliers and these were renowned for their ornate beauty. 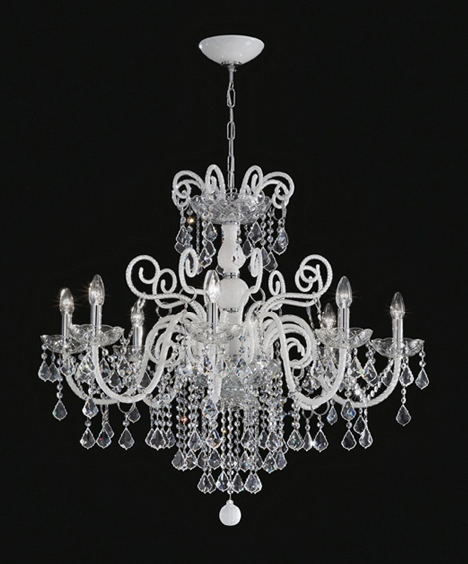 Venetian glassmakers also produced chandeliers made from soda crystal, which was very light and unlike anything seen before and sometimes different colours were used. 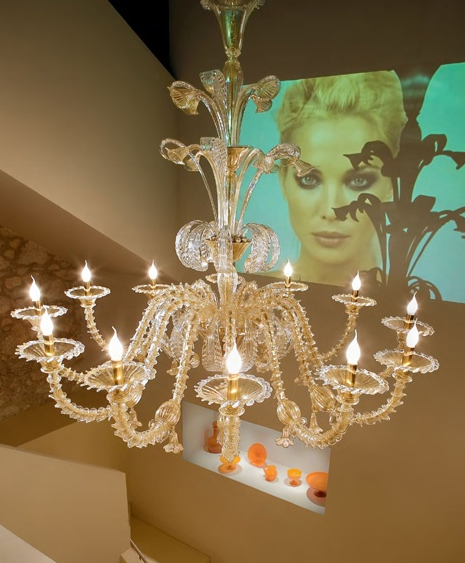 Although glassmaking in Murano saw a decline in the late 18th century, it revived some 50 years later and is still the island’s main industry, producing exquisite glass. 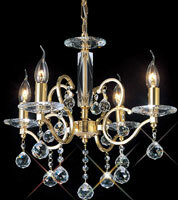 Venetian crystal is known for its brilliant light reflecting properties, elegance and creativity. 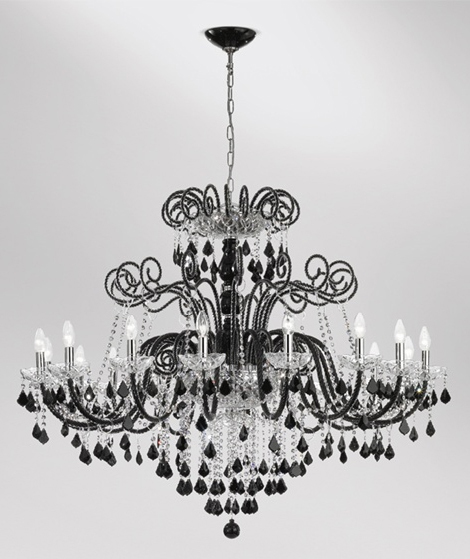 With the exception of the metal core, Venetian chandeliers are made completely from glass. 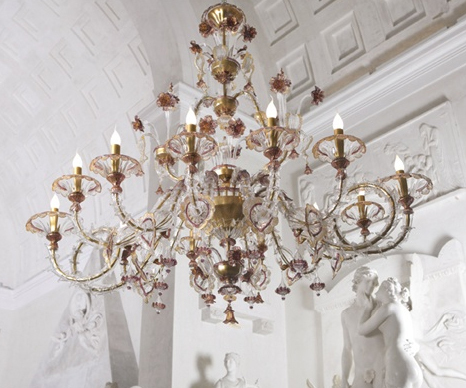 The entrance hall or landing are the most obvious places to showcase an intricate Venetian chandelier. Centre it with the doorway or window, so that it can be viewed from outside. 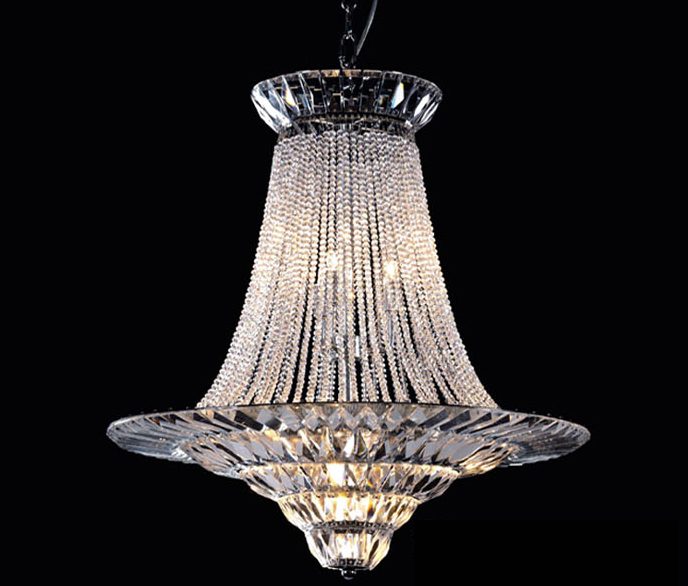 If you have a large dining room or drawing room, a Venetian chandelier will add drama and impact to your home, especially hung above the centre of a beautiful, polished wooden table. 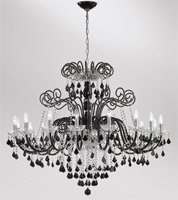 As a rule simple chandeliers suit contemporary or modern properties and more elaborate chandeliers suit period homes and large country houses. 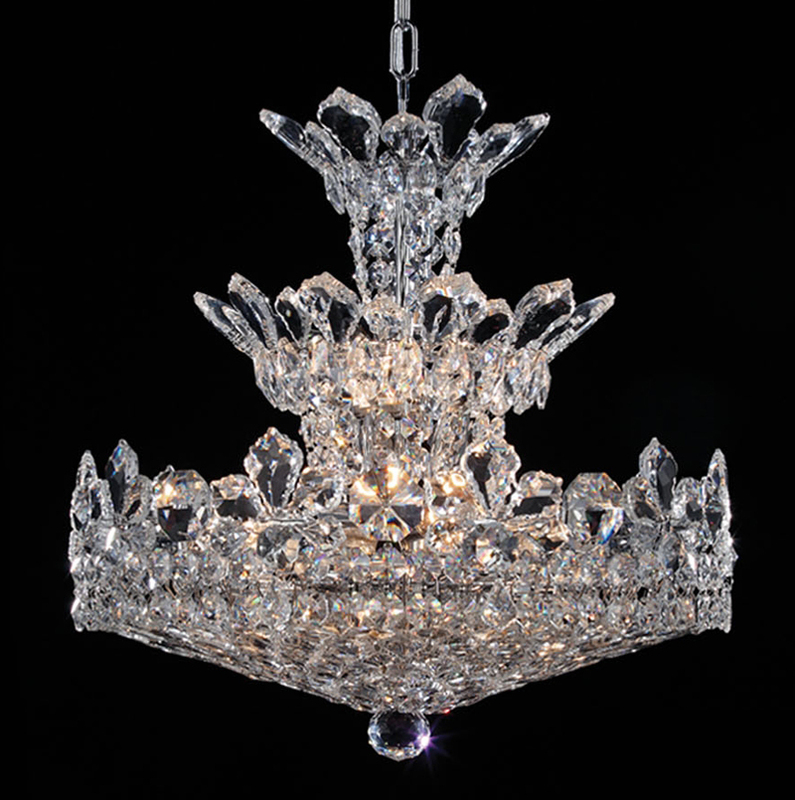 One of the benefits of buying a Venetian chandelier is that it will never go out of style and will be admired and cherished for generations. 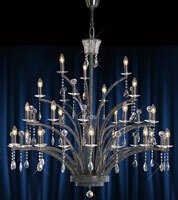 Regularly dust your Venetian chandelier to remove dirt. 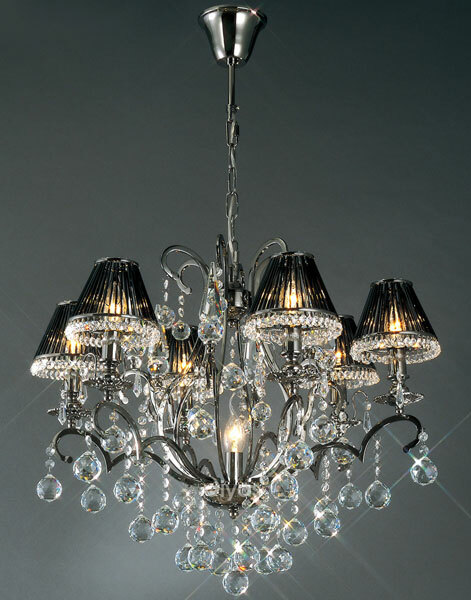 To keep your chandelier in pristine condition, wash the crystals every few years in warm water and polish with a soft cloth to maintain their shine. As a word of caution, make sure you switch off the power source when cleaning, for safety reasons. 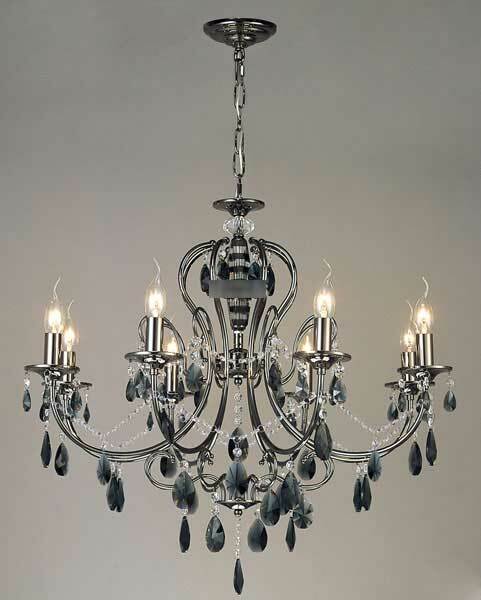 You may want to ask an electrician to remove the chandelier for you to clean it. 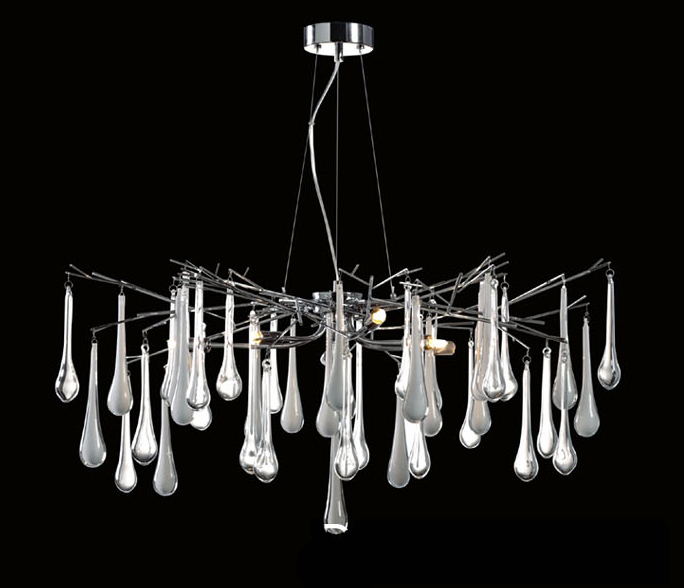 Venetian Chandeliers London - Come to Angelo's Lighting to see our full range of Venetian Chandeliers to buy from our London Showroom or alternatively contact us to buy over the phone on 020 8482 2688. 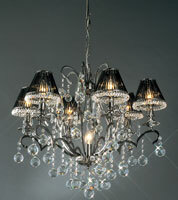 We have 1000's of Venetian Chandeliers Lighting design's in our showroom!